Our beautiful Central London studio is located near Marble Arch. The studio is equipped with a grand piano and there are free tea and coffee making facilities. Easy to access from Baker Street, Marylebone or Marble Arch Tube stations. We also teach at our home studio near High Wycombe, Buckinghamshire. 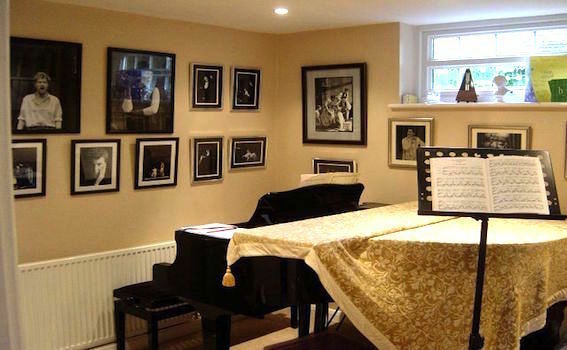 The studio is equipped with a grand piano and there is also an extensive library of sheet music available for use by students. It's only a 25 minute train ride out of Marylebone, London. 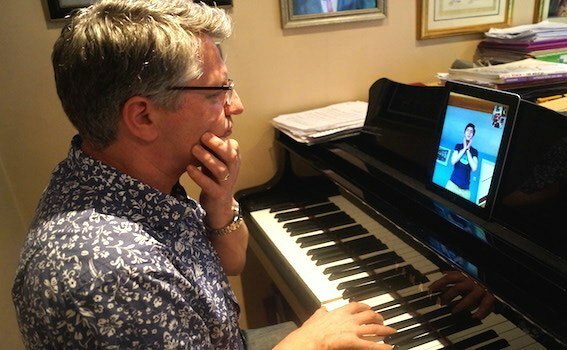 If it is not possible to meet face to face for a singing lesson; we offer Skype lessons. You may be working abroad or have a busy schedule and are just not able to get to the studio. 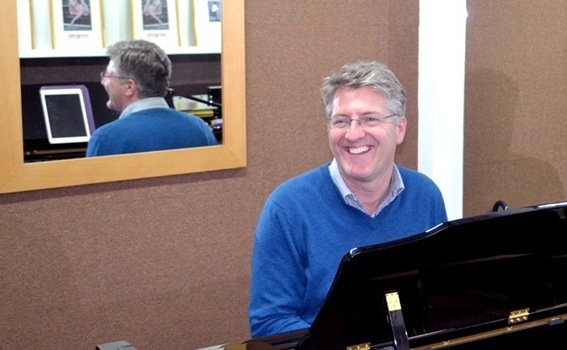 We coach our students who are abroad or to work on vocal technique for a last minute audition. Our students have found this kind of assistance extremely useful - we will strive to accommodate you wherever possible. We provide lessons between 10-6 Mondays to Fridays. We can also offer lessons outside of these hours at our Home Studio or via Skype on special request. All lessons are payable in advance, unless previously arranged. We enforce a strict 48 hour cancellation policy so we ensure we can work with as many students as possible. An in depth insight into good vocal technique. A structured method for lesson teaching and guidelines for monitoring the progress of every student. Various teacher-training plans, which will suit and cover each practitioner’s needs. As a Vocal Balance Practitioner, you will be an all round Vocal Balance Community support network. You will be given the opportunity to showcase your talents under the Vocal Balance Banner on a regular basis at a London venue to which agents, casting directors and producers will be invited. You will also have access to custom made vocal workshops covering specific genres of Musical Theatre some of which will be led by specialists in that field. You must be very diligent with your vocal practice and preparation. You know how effective the Vocal Balance technique is and are interested in learning more. Teaching is a viable option alongside your performing career and you have a natural affinity towards sharing the experience you have developed. Must be willing to develop piano skills.